Jailbreakers all around the world are closely watching pod2g’s progress of his untethered, iOS 5.1.1 jailbreak. He has given an eta of 2 weeks, or so, with speculation that the new jailbreak will be debuted at the HITB SecConf, in Amsterdam. This conference takes place between May 21st and May 25th. In pod2g’s latest blog post, he shows us a list of what devices they have tested, what devices they have not tested, and what devices will not be supported. This is an untethered jailbreak for iOS 5.1.1. There is no word if the final product will support earlier versions of iOS 5. Also, it should be noted that this is not an unlock for the iPhone 4 or 4S. If you need your phone unlocked, you will want to stay away from this jailbreak, as you will most likely have to upgrade your firmware This will upgrade your baseband, therefore, losing your unlock. 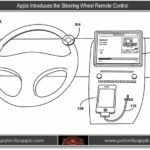 Will Apple Release A Steering Wheel Remote Control For iOS Devices?